ACS Door Services of Lincoln strives to bring quality workmanship, trustworthiness, and fair pricing to all our customers. Our garage door service company has a proven track record. We are a family owned and operated company and have been providing quality service in Lincoln for many years. Our policy has always been to provide the absolute best products and services for your budget. To do this, we rely on Garaga brand garage doors. 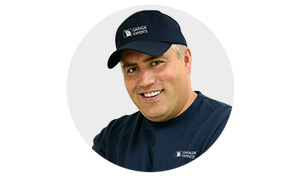 Since we founded our business, we have found that Garaga has the best door products on the market. A Garaga brand garage door provides exceptional looks, outstanding energy efficiency, and a huge variety of additional features. Furthermore, you will not find a more reliable door. If you want to see Garaga’s variety, you can visit our image gallery online. A good garage door opener is essential to safe garage door operation and to the longevity and reliability of your entire garage door system. ACS Door Services of Lincoln uses LiftMaster garage door openers, which are the top choice of professionals because of their reliability, safety, and high tech options. Our reputation is at stake when we install a garage door opener, so we only want the most reliable product for our customers. LiftMaster garage door operators are manufactured by the Chamberlain Group. LiftMaster openers bring quality and reliability, but they also offer a high level of customization. You can choose from a large selection of products, and you will find options to meet any budget. Extras, such as backup batteries, additional security features, and even cell-phone controls and alerts, can help you customize your garage door opening system. You can browse our large selection of garage door openers online, or you can contact us to speak with one of our experts, who would be happy to recommend the best residential or commercial-grade opener for your specific needs. At ACS Door Services of Lincoln, we are Garaga Experts. For more than a decade, our team has been working in Lincoln with these superior products. We have built up a level of knowledge and experience that makes us the perfect choice to help you with garage door selection, installation, maintenance, and repairs. Our commitment to service does not end after installation. We have an ongoing preventive maintenance program to help you keep your door in perfect working order. What about emergency repairs ? We offer same-day service 7 days a week at no additional charge. You will be hard-pressed to find another garage door service provider who is willing to offer this level of customer service. These practices show that ACS Door Services of Lincoln is willing to go the extra mile to provide the best possible service. Located in Lincoln, NE, we can provide expertise for residential, commercial, industrial and agricultural garage door projects. If you need a new door, reach out to us today at 402-477-4474. You can also contact us online. Thank you for your interest in ACS Door Services of Lincoln, and we look forward to working with you!